You might remember earlier in March, the Target CIO resigned due to the huge breach in December last year. Now in an unprecedented move, the banks are suing Target’s security vendor – Trustwave. It’s a class-action suit accusing them of failing to detect the breach. It seems a bit of a stretch though, there’s no such thing as 100% as we all know, holding the security vendor responsible in this case seems a little unfair. Security vendor Trustwave was accused in a class-action suit of failing to detect the attack that led to Target’s data breach, one of the largest on record. Target, which is also named as a defendant, outsourced its data security obligations to Trustwave, which “failed to live up to its promises or to meet industry standards,” alleged the suit, filed Monday in U.S. District Court for the Northern District of Illinois. Plaintiffs Trustmark National Bank of New York and Green Bank of Houston claim Target and Trustwave failed to stop the theft of 40 million payment card details and 70 million other personal records. The lawsuit, one of dozens filed against Target, illustrates the growing frustration of banks burdened with the costs of reissuing compromised cards and their willingness to pull in other companies viewed as culpable into legal battles. Support agreements between companies and security vendors are often confidential, and it was not clear from the suit how the banks determined Trustwave was one of Target’s contractors. A Trustwave spokeswoman said Tuesday via email the company doesn’t confirm its customers or comment on pending legal matters. Target also said it also does not comment on pending litigation. Everything factual seems to be legally shielded at the moment, as I would expect with any type of infosec related vendor. There will be NDAs in place and Trustwave have already stated that it’s against their policy to acknowledge who their clients are. Also details about lawsuits don’t tend to come out until all parties are satisfied and the discussions are over. The suit contends Target retained Trustwave to monitor its computer systems and ensure compliance with PCI-DSS, an industry security recommendation pushed by MasterCard and Visa to protect cardholder data from leaking. 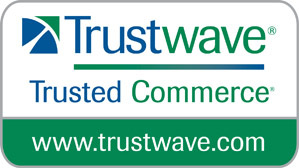 Trustwave claims on its website to provide guidance to millions of businesses for compliance with PCI standards with testing and assessment teams. Trustwave scanned Target’s network on Sept. 20, 2013 and told Target no vulnerabilities were found, the suit alleges. Target has said it believed attackers stole the data between Nov. 27, 2013, and Dec. 15, 2013, via malicious software installed on point-of-sale devices. The malware collected unencrypted payment card details after a card was swiped and briefly held in a computer’s memory, capitalizing on a unknown weakness despite years of efforts to harden payment systems. U.S. banks have spent more than US$172 million reissuing cards, the suit said, citing figures from the Consumer Banker Association. The total cost of the breach to retailers and banks could exceed $18 billion, the suit claims. The suit, which asks for a jury trial, seeks unspecified compensatory and statutory damages. I don’t really think Trustwave is at fault here, from what I understand they are simply conducting PCI compliance scans. Which doesn’t cover any kind of deep, long term attack like this. It covers basic, off the shelf, non zero-day vulnerabilities in software and web services. I think we’ll have to wait a little longer to get more details. Trustwave finally gets what it deserves. It is a well known fact that they have been too tightly integrated and associated with the PCI Standards Council and that they “Rubber Stamp” Reports on Compliance. I am glad they are finally called to be accountable for once. Not being so familiar with what goes on in the US market, I can’t say that’s surprising. Ah, a managed IDS situation would be more cause for concern, and yes a grounds for a suit if there was indeed something ignored/overlooked.